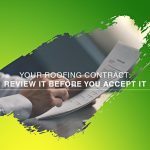 For commercial properties, the standard roofing systems you find on residential homes simply don’t work. Your commercial roofer will suggest flat roofing as it is plain and no-nonsense; it’s all about function. 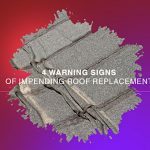 This type of roofing, though, is susceptible to water damage due to their lack of slope and pitch. 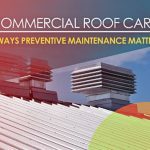 So what roofing should you pick for your commercial property? Above It All Roofing and Construction discusses the benefits of Modified Bitumen Roofing. Modified Bitumen is a type of low-slope roofing, and as its name suggests, is a type of modified asphalt that’s reinforced with fiberglass. The result is a roofing material with high durability. It’s virtually weatherproof, too. This roof has two types: SBS and APP. Styrene-Butadiene-Styrene is the most common, boasting highly flexible membranes, giving it stronger expansion and contraction capabilities. Atactic Polypropylene, on the other hand, has uncanny aging properties, making it a more long-lasting option. The high tensile strength of both variants of Modified Bitumen make them very resistant to physical damage, and they require little to no roof maintenance. 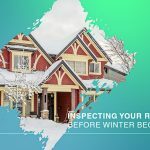 Since this roofing system actually has a low slope, water doesn’t pool on the roof surface, and this means it’s unlikely that it will experience moisture damage. Modified Bitumen is also easy to install, although we suggest you enlist our aid to install your new roofing system. Your roof is only as good as how well it’s installed, after all, so we’ll make sure it lasts a long time. Finally, Modified Bitumen has high fire, wind, and hail rating. 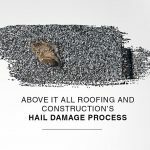 Their innate durability means even something like hail damage repair is relatively simple to address. Thinking of installing Modified Bitumen on your commercial property? Give us a call at (918) 217-8890 for a free estimate on our services. Our commercial roofer serves customers throughout Edmond, OK.